Stnkrbug: London Travel Guide + MUST SEE Places! 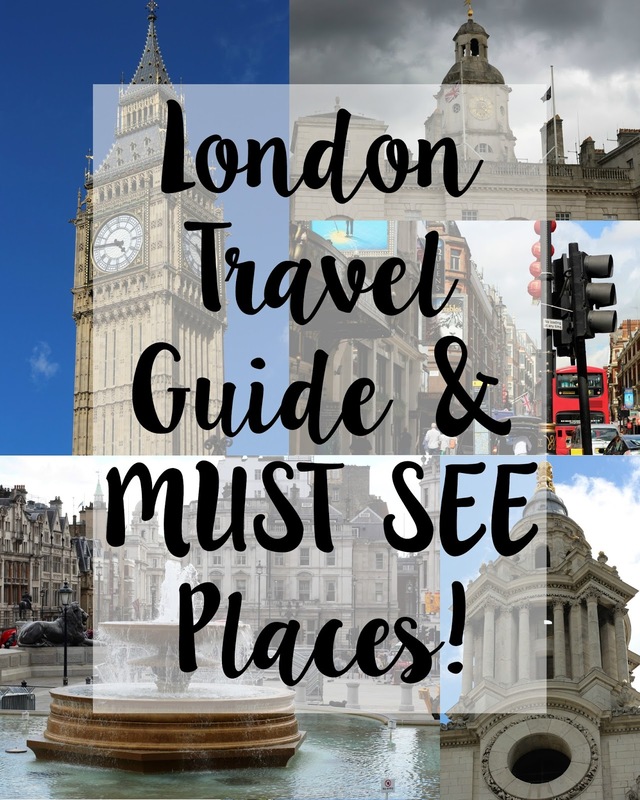 London Travel Guide + MUST SEE Places! Since I've been back from studying abroad, it's been so hard to find motivation for blogging, especially since I've been so busy with school and work this quarter. I feel super overwhelmed, but as I'm taking a study break during dead week (ugh), I thought I would sit down and write a blog post. I'm feeling really inspired this month, so I hope that means that I'll again find my motivation for everything and anything since I've been so consumed with school this quarter. I have seriously written ten papers this quarter, and still have two more to go, so needless to say, I've been feeling a little burnt out lately. As most of you probably know, I spent part of my summer studying abroad in London before I did another program in Spain. For that reason, and also the fact that one of my best friends will be heading there in about a week (wowow Rachel!) and has been asking for a travel guide, that's exactly what I decided to do today! 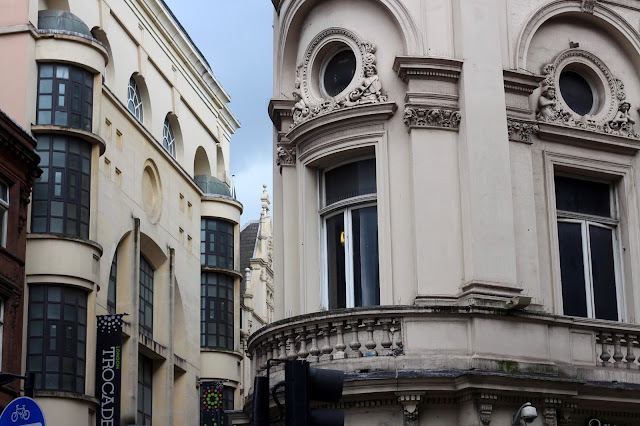 I've looked through all of my photos, and while they make me extremely homesick for London (I WANT TO LIVE THERE ONE DAY), I picked my favorite places that I visited, and have some tips for getting around the city! This one is a bit obvious, since the British Museum is well-known, but even if you aren't a usual museum junkie, you should definitely stop by! It is a huge museum and has an exhibit that will at least appeal to everyone, so there's most likely something for you to see there. I split up the museum by spending a day on each floor, because if you try and do it all in one day, you'll definitely be overwhelmed. There's a lot of coffeeshops and lunch spots around, though, so if you need a break to re-charge, that's definitely an option! 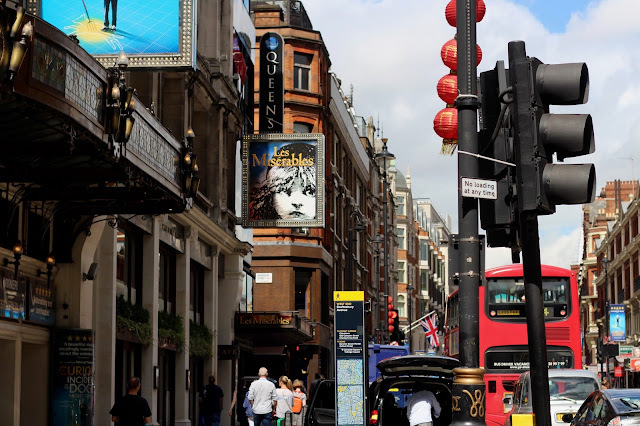 I didn't actually realize just how much I love theater until I studied in London. I had been to plays before and really enjoyed them, but I went to so many in London and enjoyed them all. The West End is honestly just fun to visit in general, since there's so much going on, and there's usually a lot of street performers who are all so talented. It's at least worth it to stroll through on an afternoon! Piccadilly Circus is actually really close to the West End as well as Trafalgar Square, so you should just generally go to that area. 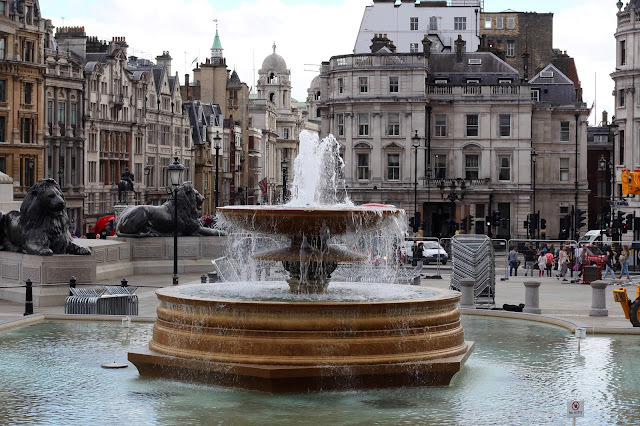 Trafalgar Square is so cool to see - it's huge in person! - and also a great place to sit outside and have lunch. When I was there a ton of people just hung out in the area, especially since it was summer, and the atmosphere is just a lot of fun to be in. The fountain is also really pretty, and the lions are also really impressive to see, so it's definitely worth the visit! Chances are, if you're in London, you're probably going to visit Buckingham Palace. I visited the actual palace one day, and then another day my friend and I were walking to class, and we stumbled upon the surrounding garden (probably the most posh sentence I've ever said), and got to see little goslings, a ton of other wildlife, and also some beautiful sights of London, like the London Eye in the distance. That's probably one of my favorite memories of London, since we didn't mean to go there at all, and just kind of ended up there. We ended up late to class because we were taking so many photos and walking around the garden, but honestly I'm going to remember that garden far longer than what I learned in class that day. 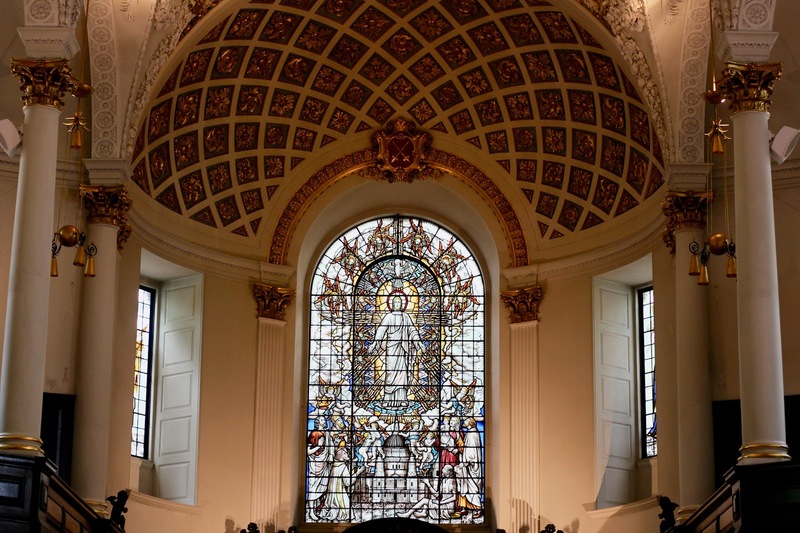 Christopher Wren was an architect who built a lot of churches around England. We saw a lot while we were in London, and they were all so beautiful, and had so many intricate designs on the inside. The architecture in even one of the churches makes everything in America look so bland and boring! Pro-tip: if you don't want to pay for a tour, you can always go to a service! You don't have to pay for them, and you get to see the inside of the cathedral. The only catch is you can't take any photos, although I definitely snuck a few. I'm sure they get super annoyed by tourists trying to take photos, but it's definitely worth going to the service! The choir was so amazing, and seeing the inside was honestly breathtaking. I made a whole post about the studio tour, which you can read here, but I just wanted to reiterate how cool it is! As soon as you know the dates you're going to be visiting the area, I'd suggest getting tickets for the tour because they go fast! I bought them at the beginning of the program, and had to go at the end of my program (like five weeks later!) because tickets were all sold out until then. It was so amazing to see, especially if you're a Potterhead like me, and definitely worth the money. Just a warning that you'll probably end up spending a lot of money at the gift shop afterwards! If you're willing to take a train for about an hour to Brighton, it's definitely worth the visit! It's an adorable little beach town with some great shopping spots in the Lanes, and also a lot of cool historical places to see around town. The beach is also really nice to sit and just watch the ocean! Just know that the "sand" is little pebbles, which can hurt on bare feet, but with shoes you should be fine! The pier is also so adorable, and will live up to all of the arcade/ride/food dreams you had as a kid. 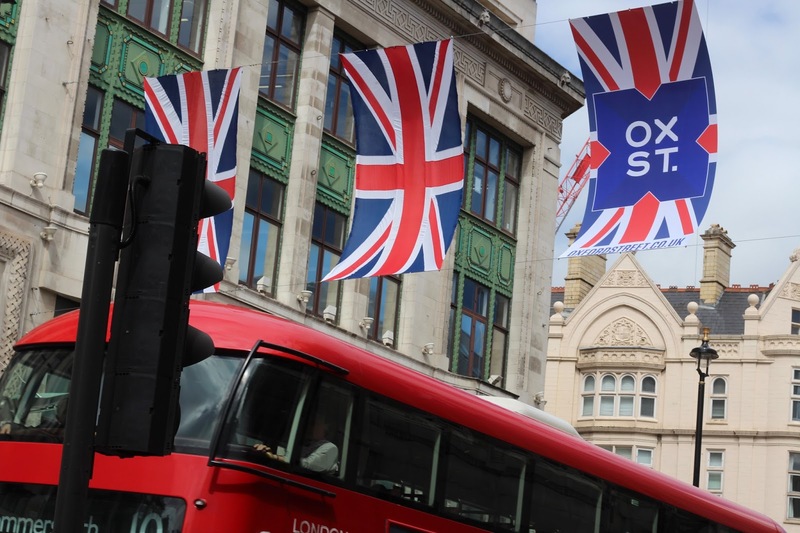 My favorite places to get drinks with friends is the London Bridge area, Covent Garden, and Camden! All of these places have really cute pubs and bars, especially London Bridge area. The younger crowd is definitely usually in Camden, so the night life there is a lot of fun! There are clubs that have themed nights, and I ended up going to a 90s night with friends, and it was probably one of the most fun nights we went out. I went to a lot of pubs while in London - I totally fell in love with them - and I definitely had some favorites! Ye Olde Chesire Cheese - Blackfriars. This pub has a lot of history since it's one of the oldest pubs in London. Since it's in Blackfriars there's a lot around it, too! The Churchill Arms - Notting Hill. Also a really cute pub because of the interesting look on the outside. The White Hart - Waterloo. This one has really great food! Wetherspoons - multiple locations, my favorite is in Victoria! Honestly, you can find a good pub probably in any part of London you're in, I just recommend doing a quick search on Yelp and reading the reviews! It's actually pretty easy to get around London, since the public transportation there is pretty straightforward. The tube goes all around the city, so it's super easy to go to all of the districts around the city! It can be really confusing at first since there's so many lines, and especially if you don't have a lot of experience with subways (like I did), but after a day or two you can start to get the gist of it. There's also apps you can download like Tube Map and CityMaps2Go that really help, or you can simply use Google Maps! That's what I did and never had a problem. There's also maps everywhere in the tube stations, so you can generally figure out how to get where you need to be. It's important to know, though, that the tube stops running at midnight, so if you're out for a late night you have to take the bus, or use a taxi/Uber/Lyft. I never really had a huge problem with this since there's so many taxi's around, and you can always call an Uber, but it could get annoying sometimes since the tube gets you where you need to be pretty quickly, and obviously it costs money to use Uber or call a taxi. If you're splitting the cost with friends, though, it really isn't bad! If you're going to be doing any travel by train, coach, or plane, book your tickets as soon as possible! Usually the most in advance you can get tickets is the best, so try to plan out all extra travel beforehand, rather than going to the train/bus station, or airport and buying a ticket there. If you ever get lost in the city, it's best to just stay calm, and ask someone for directions. I found the people of London to be really nice (I mean I'm coming from Seattle, so you can only go up from there, right? ), and they'd help me out if I just asked. The police officers there are also really nice, and you can easily find one to ask for directions, especially at night. My roommate and I ended up slightly intoxicated and lost one night, and a police officer helped us out by pointing us in the right direction, and we got home just fine, after only a couple of complications of finding the right bus. Alright well there is my London travel guide, places you gotta see, and tips on getting around the city! If you are going to London, I am so jealous, but also hope that you have the best time! It's such a beautiful city with so much to see, and I can't wait to go back one day.